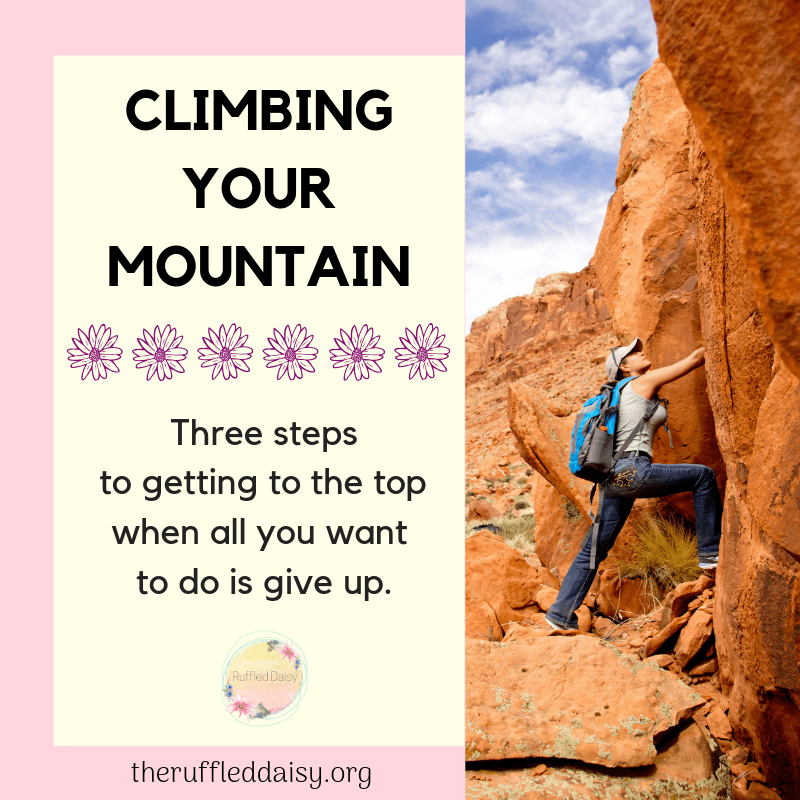 This Is YOUR Mountain to Climb and How To Do It When You Don't Have the Energy! That hard time you’re in – have you ever considered that maybe it’s the mountain you’ve been assigned to tackle!?! Maybe, you are meant to climb it so you can share with others at the top that it IS possible! Maybe, you are supposed to forge a new path and get around it or over it in an way that is a little unconventional! Are you fighting a disease that is teaching you humility and patience? Are you struggling in a relationship that is teaching you forgiveness and gentleness? Are you at a job that is teaching you grace and kindness. Whatever you are facing – it’s YOUR mountain and it’s been assigned to only YOU! 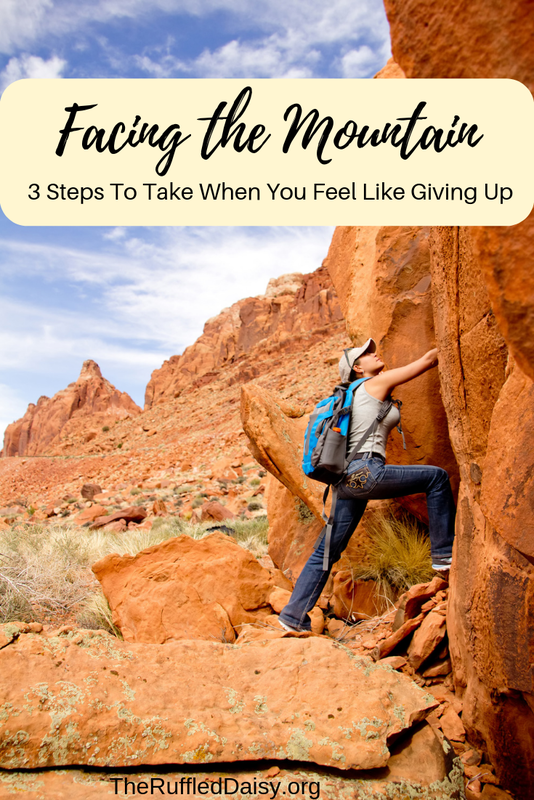 Here are THREE steps to overcoming that mountain when you feel like giving up! Focus on who you are and not what you do! Your worth as a person in not tied to what you are doing. When people look to their accomplishments to validate their worth, their sense of feeling good about themselves rides on those accomplishments. Know that you are worth more than your accomplishments. Take a minute to write down the accomplishments that you have made in your life. Think about the bigger picture. Even though right now slip-ups can feel like the most defining moment of your career, take a step back. Put it in context. Surround yourself with healthy relationships! There is HUGE power in relationships! We are created to be social creatures and relationships offer us practical and emotional support. When you surround yourself with unhealthy relationships, your personal life begins to be affected in the same way. Feeling good about your struggles will only be accepted when you are surrounded by healthy relationships. Take stock in those people around you and really begin to assess where that fit into your story. Stop thinking that you are supposed to be a superhuman! We will fall and we will stumble. Who do you go to in that time? God is our superhuman? He is the ONE who gives us the power to succeed and overcome when we succumb to failures. We serve a God who didn’t promise success all the time, but who promised that he would always be there with us! You’ve got this! Share this with someone who needs to hear it today! Be a part of the healthy relationship that you need from others! Did you like this post? I’d love for you to join my mailing listHERE! When you join, I’ll send you a FREEBIE that you can immediately download. Just my way of saying “thank you” and encouraging you to live your best life! !